All our games use Playtomic stats. 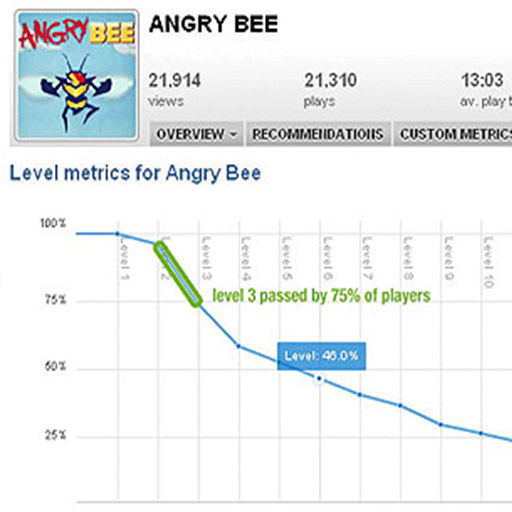 Playtomic is the equivalent of Google Analytics for games and is a great tool for game developers. With it we can go further than just knowing if someone has reached level 225 on Halloween Pairs. 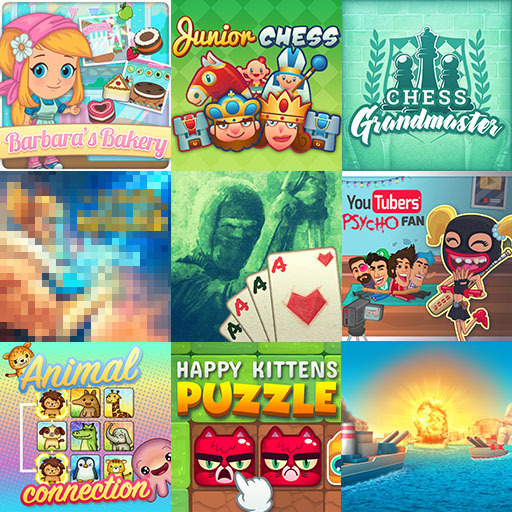 Basically, Playtomic allows us to know on which sites our viral games are published, the geographical distribution of the players, the average time spent playing and how many hits the sponsor of the games gets. Besides this, we can custom it to track almost any kind of event relevant to the game play. 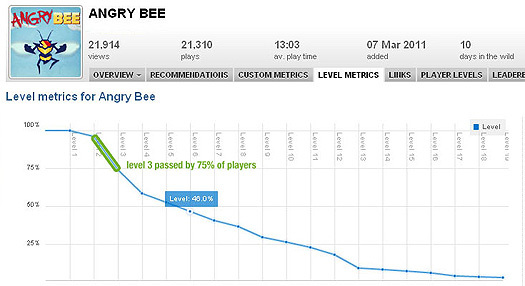 Some days after releasing Angry Bee on a couple of sites, we discovered that we were losing half of the players on level 3. That wasn’t good. The game was more or less finished and at that point we wanted to avoid redesigning the levels. Nothing was wrong with them. The key issue was to improve the tutorial and reorder the levels. Firstly, we tried something simple. Which effect would have swapping levels 3 and 4? Bingo! 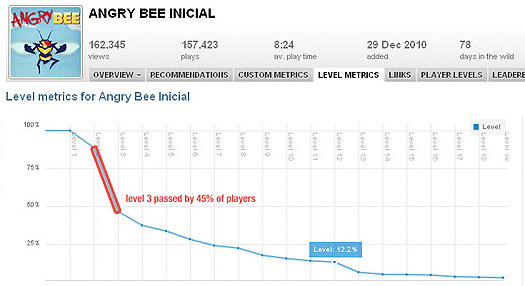 Now the game retained 75% of the players and the play time increased. Dealing with stats is not all about tracking the amount of plays of our games. If you use them wisely, they can help you to turn your game into a great hit by analyzing the players behavior. para medir estadisticas en los juegos flash? 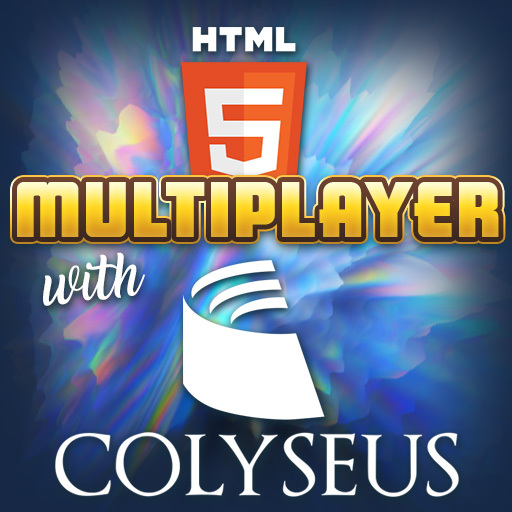 Y tambien que pasa si el juego es Multiplataforma? how do you "update" your game?